You should understand some basic facts about the probate process when you are planning your estate. Many people go forward without enough information, and as a result, they make errors that yield unintended consequences. 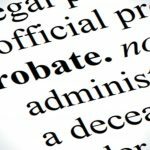 If you have property in your direct and sole personal possession at the time of your death, it may become probate property. It would not be distributed to your heirs until the probate process is completed. This is a rather unappealing prospect because probate can be time-consuming. In the state of North Carolina, the simplest of cases could potentially pass through probate in around six months. This is a significant length of time to wait for an inheritance, and complicated cases can take much longer. Under some circumstances, probate is not required. In this paper we will look at some types of asset transfers that would not be subject to the probate process. You can add a beneficiary when you open up an account at a bank or at some brokerages. These are called payable on death accounts, and in some cases, they are referred to as transfer on death accounts. The beneficiary that you name cannot access the resources in the account while you are alive. After you pass away, the beneficiary would assume ownership of the funds that remain in the account. This transfer would not be subject to the legal process of probate. When you take out an insurance policy on your life, you name a beneficiary. The relationship is between you and the insurance company. After you die, the insurance company will pay the beneficiary directly, outside of the process of probate. 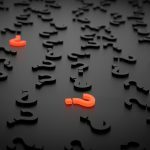 However, if the beneficiary predeceased you, and you did not change the beneficiary designation, the insurance policy proceeds would be subject to the probate process. If you own property, you can add a co-owner to the property. This person would become a joint tenant. Let’s say that you want your granddaughter to inherit your home. You could make your granddaughter the joint tenant, and she would own half of the home immediately. After you die, your granddaughter would assume ownership of the entirety of the property. This transfer would take place outside of probate. Joint tenancy between individuals who are not married can often create problems which are beyond the scope of this blog post so be careful about using this tool. 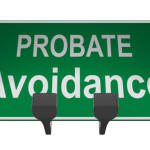 It is possible to be proactive about probate avoidance. Revocable living trusts are very useful if you want to facilitate asset transfers outside of probate. When you create a revocable living trust, you don’t lose control of the assets while you are alive and in control of your faculties. You can act as the trustee and administer the trust yourself, and you can take withdrawals or add resources as you see fit. You create a trust agreement, and you name a successor trustee. After you die, the successor trustee will follow the terms that you set forth in the agreement and distribute assets to the beneficiaries. The probate process would not be a factor. 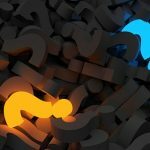 Revocable living trusts can be useful for a wide range of people, but there are other types of trusts that would facilitate probate avoidance while simultaneously satisfying other objectives. 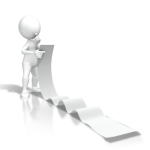 There are a lot of different ways that you can proceed when you are planning your estate. In many cases, there will be a combination of asset transfer methods utilized. The best way to go about it will depend upon the circumstances. Our firm would be glad to help if you are ready to put an estate plan in place for your own protection and for that of your family. We have assisted families throughout the greater Charlotte area, and we have developed long-term relationships. We can help you establish a plan, and we can also assist your family after you are gone. We understand the fact that you talk about very sensitive subjects when you consult with an estate planning attorney. Many people who are unprepared feel intimidated by the prospect of this type of conversation, and they procrastinate. While this is understandable, you do not have to feel that way. We take our relationships with our clients to heart, and people tend to feel completely comfortable from the moment that they walk through our doors. We can get to know you, gain an understanding of your objectives, answer your questions, and help you establish an estate plan that is tailor-made to suit your needs. To schedule an appointment, call us at (704) 944-3245 in Charlotte or (606) 324-5516 in Ashland, KY. You also have the option of sending us a message through our contact page.